Sierra Leone, Guinea & Liberia. Within the healthcare community , 3 health workers had infected with the deadly virus . In these countries , according to WHO reports and statics there is 23 694 cases of Ebola which are confirmed , probable & suspected infections including 9589 cases of death. Up to date there is no any authorized and licensed vaccination to fight #Ebola outbreak , but two companies are working on that. Recently a 15 minutes test was released by by Corgenix , which is less accurate than current PCR test but at least is more faster with less time consuming for detecting the infection. 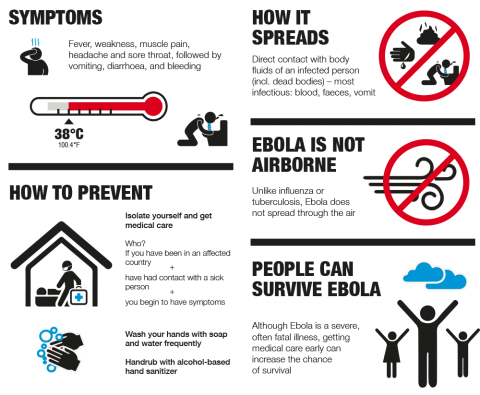 To read more about Ebola, another infograph HERE. Sources : WHO , BBC.